We are engaged in offering wide array of. 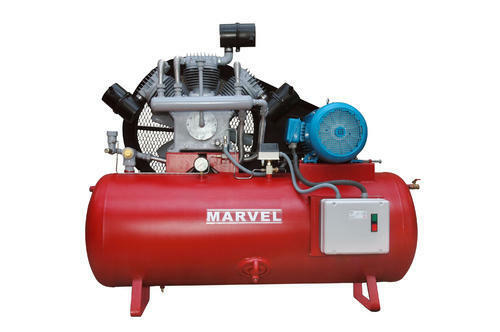 Air Compressor which is manufactured as per the set industrial quality norms and standards. This Air Compressor is sturdy in construction and perfect in finishing which attracts the clients most. Also, this Air Compressor is highly demanded by clients due to its smooth functioning. Incorporated in the year 1993, we, Marvel Engineering have earned noteworthy status in the market by efficiently serving to the rising demands of clients. Over the years, our company has grown leaps and bounds by manufacturing and supplying client specific array of Hydraulic Lift, Air Compressor and many more. Our products are developed by incorporating advanced methods and cutting-edge technology, which make them highly preferable in industry. Apart from this, Our company’s main objective is to attain total customer satisfaction, therefore, we have concentrated our all endeavors to meet and exceed their expectations with desirable product range. Furthermore, to rise up with inventive range of products, we make constant improvement in our existing range of products. With our ethical business practices, reasonable pricing policy, fair dealings with clients and prompt delivery schedules, we have been able to successfully mark a respectable status for ourselves in the competitive industry. Our company has set itself apart from close business competitors by providing range within client specified date and time. 14/1, Devi Garden, Kavundampalayam P. O.